With the launch of the facelifted version of the X1, BMW must have thought that it has climbed to the top of the ladder in the entry level premium compact Sports Utility Vehicle (SUV) category. But there is another worthy competitor waiting here, willing to take the battle to the X1 head-on, namely the Audi Q3. Both companies have noticed that India is a market wherein the demand for SUVs is quite high and it makes great sense to offer these performance oriented vehicles to Indian customers. It is the exterior of these models that comes into focus first. The X1 comes with a kidney-shaped grille that is joined to its long bonnet. This design is preferred by some, but not all. If placed next to the Q3, one may feel that the X1 looks like an estate. In comparison, the Audi Q3 looks more muscular. Though the Q3 looks similar to its larger cousins Q5 and Q7, it still looks refreshingly intimidating on the road. Daytime running LEDs on the Audi give a spectacular look to the vehicle. The large grille with four rings in the Audi Q3 gives it a well-rounded look. On the other hand, the X1 has its trademark BMW headlamps at the front, presenting a sporty look. It does look more menacing than the Audi Q3. Sporty overhangs in the rear give the X1 its characteristic BMW look. However, one must say that the Q3 definitely looks larger than the X1 from the outside. Shootout between the BMW X1 and Audi Q3. Inside the X1, one is struck by the low driving position of the X1. Interestingly, the Maruti Swift also seems higher to it in comparison. As against this, the Q3 gives a commanding view of the road ahead, with its high seating position. Most Indians buy SUVs for the high seating position that gives a princely feeling. It is difficult to get the same feeling while sitting inside the new X1. Inside the cabin, the X1 has dark trim interiors, which look good, but not as classy as the beige interiors of the Q3. However, beige gets soiled more easily than black. The X1 gets a six-speed automatic transmission, as compared to seven-speed S-tronic automatic transmission of the Q3. Shifts are faster in the Q3 than in the X1. This also results in better acceleration figures, with the Audi hitting 0-100 kmph in 7.94 seconds, while BMW takes 8.05 seconds in achieving the same speed. Top speed of the Q3 is 210 kmph, while the X1 drops out at 205 kmph. Mileage delivered by the Q3 can be expected to be around 9.8 kmpl in the city, while the X1 is marginally better at 10.1 kmpl. The steering wheel of Q3 is lighter than the X1. In comparison, the X1 requires a lot more effort. But as the BWW is rear-wheel driven, it tends to inspire greater confidence while negotiating tight corners. Though the X1 feels at home on smooth tarmac within the city, the Q3 acts more as a through-bred SUV that offers great comfort on undulating terrain. Several delightful features are available in the Audi Q3, such as automatic air conditioning, ambient lighting, hill-start assist, on-board computer seen through an efficiency program, panoramic sunroof, power windows, integrated audio system, 4-way lumbar support, rear wiper and defogger and a steering wheel with mounted audio controls, among others. The X1 also boasts of beautiful interiors, comprising of a dual toned dashboard, illuminated glove compartment instrument panel with twin dials sporting the tachometer, speedometer, fuel level and consumption, ambient lighting and illumination for vanity mirrors, among others. Finally, a word on the pricing of the two vehicles. Audi Q3 is priced from Rs. 26.21 lakh to Rs. 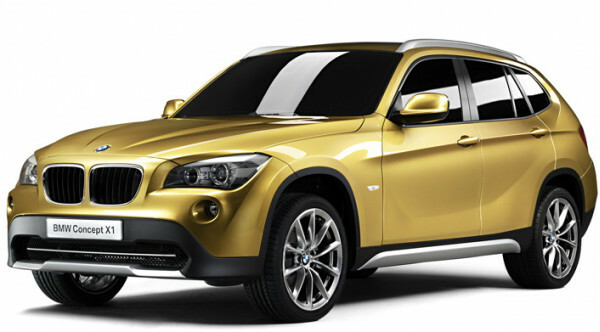 31.49 lakh, while the BMW X1 ranges from Rs. 22.61 lakh to Rs. 30.91 lakh (all prices are ex-showroom, New Delhi). There is not very much to choose between the two vehicles, but if one is looking at frequent off-road rides, the Q3 should definitely be the vehicle of choice. In addition, one may feel tired while driving the heavy steering of the X1 in the city, but this would not hold true with the Q3.